Every year at the end of August, a murmur goes through the land, because that’s when they are back on the shelves of German supermarkets: gingerbread, gingerbread biscuits, spiced biscuits, and the rest. And again, consumers are surprised that food retailers are starting to sell them already – and maybe even a little earlier than the previous year. Actually, 61 percent of Germans would like Christmas biscuits to be only available in shops from November. That is why slightly fewer than one in four people buy their first biscuits or cinnamon stars before the start of advent. When they let themselves be persuaded into making a purchase, Germans favour gingerbread biscuits, followed by spiced biscuits and Domino Dice – chocolate biscuits layered with gingerbread and marzipan. Biscuits, whether purchased or home-made, are in fourth place. In 2015, the turnover in gingerbread alone rose by a good 15 percent to 188 million euros; other products, too, saw an increase. In total, Germans spent more than 450 million euros on Christmas biscuits in 2015. That’s why Christmas trade is traditionally also the most important one of the year for biscuit manufacturers, with the greatest turnover. Manufacturers are presented with particular challenges at this time: production facilities must run faultlessly at full speed and the pack styles and sizes must be tailored to the subject of Christmas. Those who want to hold their own against the competition at Christmas have to score, above all, when it comes to packaging diversity. Bosch Packaging Technology is closely examining trends in the Christmas market as well. “This is why we have machines and systems in our range that let manufacturers not only follow current developments but also be continually one step ahead. It’s primarily about linking the necessary flexibility with corresponding efficiency in production. We want our manufacturers to be able to produce spiced biscuits and similar products flexibly during the Christmas period – in the widest range of sizes and formats and, of course, at the highest quality,” said Daniel Bossel, Product Manager at Bosch Packaging Technology in Switzerland. In general, food trends and consumer requirements during the year determine the look and feel of packaging. The well-disposed purchaser wants more than just information on the ingredients, shelf life and the production route – the attractiveness of the packaging is a crucial reason for it to be picked up at all, scientific studies have shown. And it is no different in the Christmas period! The fight for attention on the supermarket shelf has become harder, as can be seen in one trend in particular, which has occurred in the last few years: in addition to shriller and more informative packaging, there have continually been new package sizes, whether single wrapped Domino Dice at the point of sale or spiced biscuits in a handy pack of five. In addition, there are “limited editions”, where a popular and successful product is modified, customer-loyalty promotions, such as video competitions and – very recently – the opportunity for customers to have products sent with their own name on the packaging. The market therefore demands packaging machines that can master many different formats, and in doing so work quickly and efficiently. Short changeover times, packaging variability and high overall equipment effectiveness (OEE) are the core values here. “We responded to exactly these matters in the case of the Two-in-One biscuit packaging system that we presented for the first time at interpack 2014. It has been used successfully by numerous customers,” said Bossel. Now Bosch Packaging Technology has again gone one step further with its extended range for the German market, presented at interpack 2017: the new dual lane version of the Two-in-One biscuit system provides manufacturers with even greater flexibility when packaging their biscuit products. Single, pile and slug packs can be manufactured in innumerable variants on two lanes that can be equipped and cleaned independently of each other. The performance data has also increased: both lanes together can package up to 2,400 biscuits per minute at film speeds of up to 90 m/min for heat sealing and up to 150 m/min for cold sealing. Structural improvements have also been achieved, which result in a lower mechanical load on the biscuit products, thus improving their quality. The new Sigpack DHRG distribution station prepares up to 400 rows per minute of round, oval or square biscuits, which can then be fed in an arranged or random manner. The design of the transport system has also been revised so that the biscuits are stressed as little as possible. The modular structure of the entire system allows both flexible adjustment to the production situation of the customer, as well as the structure of a fully-integrated packaging system. With the Sigpack PMI, the products of both lanes can be merged efficiently, allowing them to be cartoned afterwards. 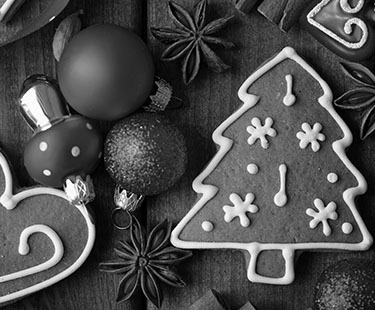 In addition to day-to-day business, additional packaging formats and sizes are added for Christmas business – wafers alone are available in shops in a pack of seven, as a large pack or in a gingerbread-house carton. Flexible packaging machines are also required for secondary packaging, such as the Sigpack TTM cartoning machine, which can pack various products at up to 150 cartons per minute. Of course, Bosch has also invested in Industry 4.0. With the optional Line Dashboard, the user of the new biscuit system will be able to retrieve and check the machine status, system parameters and KPIs in real time, at any time and irrespective of the platform. This means that not only changes in operators but also troubleshooting and continuous optimization will become part of a convenient routine in the pre-Christmas period. With its high product and pack style flexibility as well as with a number of connectivity options, Bosch is providing biscuit manufacturers with an efficient and, above, all, very variable system so that they will also, in future, be one step ahead in their struggle to gain the customer’s favour regarding packaging – and be ready for new varieties of biscuits. Happy Christmas!